WEST PALM BEACH (March 5, 2013) — Lesser, Lesser, Landy & Smith, PLLC (LLL&S) attorney Luis J. Delgado has been inducted as President of the Palm Beach County Hispanic Bar Association (PBCHBA). Elected by his peers, Delgado will serve a one-year term, and is responsible for working closely with his fellow officers and board of directors, as well as arranging monthly programming, social events, and community service. Prior to his election, Delgado served on the PBCHBA board and as President-Elect. The evening was perfectly set at the Richard and Pat Johnson Palm Beach County History Museum in downtown West Palm Beach, as over 100 people, including Judges, Florida Bar leaders, Palm Bach County Bar leaders, other voluntary bar leaders, prominent local attorneys as well as friends supported the installation of the PBCHBA officers and directors. Judge Ronald Alvarez of 15th Judicial Circuit swore in the nine board members and four officers. The Palm Beach County Hispanic Bar Association understands the Spanish speaking populations’ struggles and seeks to provide pro bono efforts to those in need, and seek to help those individuals that lack representation in the judicial process due to language barriers. The PBCHBA was also established to provide help for the Hispanic community by creating a group that will stand behind those seeking a judiciary seat in Palm Beach County. Delgado’s law practice focuses on the areas of personal injury, automobile accidents, premises liability and products liability. Prior to joining LLL&S, Delgado served as a prosecutor for the State Attorney’s Office for which he prosecuted defendants using Florida’s “Career Criminal” and “Violent Career Criminal” statutes. As prosecutor he handled thousands of court hearings ranging from simple thefts to serious cases such as gang crimes, drug sale, drug trafficking, attempted murder, and murder, taking approximately 100 cases to verdict. Delgado is a graduate of the University of Florida where he simultaneously earned bachelor’s degrees in Journalism and Political Science. Delgado is also a veteran of the United States Marine Corps., enlisting as a Private First Class while in college, and throughout his service he maintained conduct and proficiency ratings in the top 5 percent of all Marines. During his first year at the University of Florida’s College of Law, Delgado was activated by “Presidential Recall Orders” for active service and deployed with the 4th ANGLICO (Air Naval Gunfire Liaison Company) to Iraq for Operation Iraqi Freedom. He was the Non-commissioned Officer in charge of Motor Transportation that provided combat support for an area covering 16,000 square miles of hostile territory. He was honorably discharged after reaching the rank of Sergeant. Delgado is also a graduate of the Leadership Palm Beach County and also serves as a member on the University of Florida Law Alumni Council, Treasurer of the Palm Beach County Bar Young Lawyers Section, and is a board member of Seagull Industries for the Developmentally Disabled. 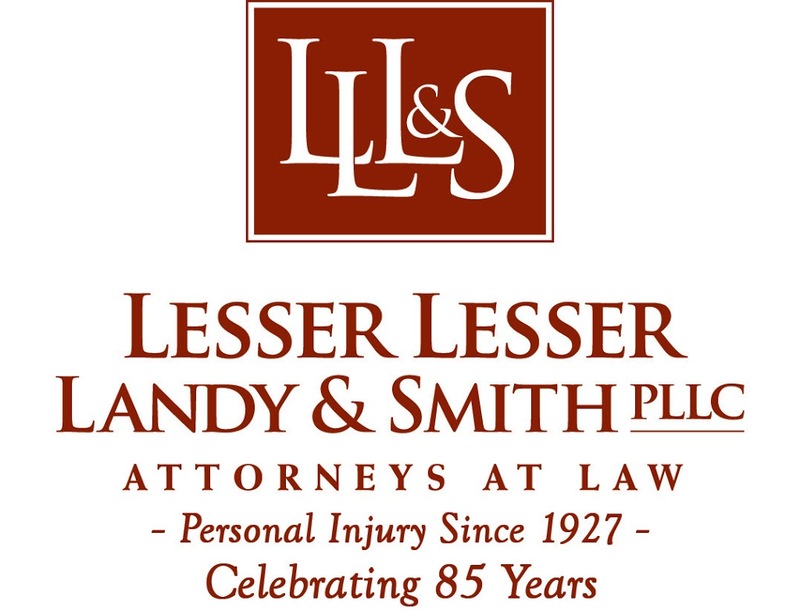 Lesser, Lesser, Landy & Smith, PLLC, the third oldest law firm in Palm Beach County, was established in 1927 by Joseph H. Lesser in West Palm Beach, and has been serving clients throughout Florida for over 85 years, focusing on serious personal injury and wrongful death cases. LLL&S (www.lesserlawfirm.com) enjoys a reputation in the community for superior legal skills, hard work, client service and high ethical standards. All Firm partners are “AV” rated by Martindale-Hubbell, the highest rating in ethics and legal ability. LLL&S is active in the community, and has donated significant time and financial support to numerous charities. The Firm has obtained substantial settlements and verdicts over the years and is well known to insurance companies and insurance defense lawyers as skillful advocates. This experience and reputation allows the Firm to obtain the best possible results for its clients. 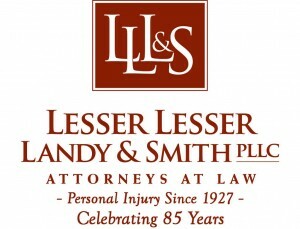 For more information on LLL&S with offices in West Palm Beach, Boca Raton and Stuart, call Gary Lesser at (561) 655-2028 or visit www.lesserlawfirm.com.